Lethal Weapon. End of Watch. Se7en. Hot Fuzz. 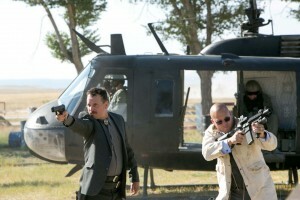 These buddy cop movies and many more live and die on the chemistry between the two lead actors. 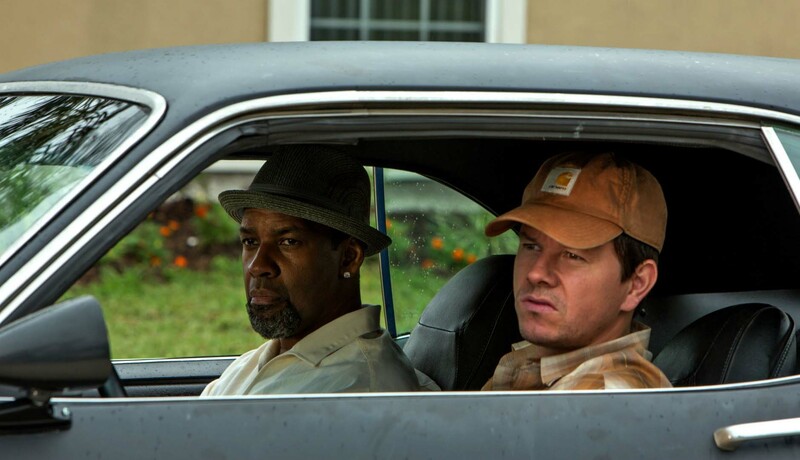 With 2 Guns (15), the team of Denzel Washington and Mark Wahlberg can be added to the list of great duos, even if the film itself doesn’t do enough to be elevated into the genre’s distinguished pantheon. What’s it about? Loosely based on Steven Grant’s graphic novel, 2 Guns follows the fortunes of Bobby Trench (Washington) and Michael ‘Stig’ Stigman (Wahlberg), two bank robbers who unbeknownst to one another are working undercover for their respective bureaus. When their attempt to infiltrate a Mexican drug cartel and recover millions goes wrong, their mutual deceit is revealed and the two operatives are suddenly disavowed by their superiors. With a price on their heads, they must overcome their differences and work together to find out who set them up. Verdict: 2 Guns is at its most engaging and fun when Wahlberg and Washington share the screen. Their banter is fantastic, our laughs are plentiful, and their rapport carries the film throughout. The exploration into why the characters are who they are is thin at best – Trench’s reservations about caring for others isn’t delved into as much as it could be, for instance – but the chemistry is so good it’s easy to just enjoy the ride. After great turns in Ted as well as Pain & Gain, Wahlberg again shows his penchant for fast-talking, quick-witted characters and in Washington he finds someone to match him line for line. Aided by some slick direction from Baltasar Kormákur – who directed Wahlberg in Contraband – the action beats prove to be just as appealing. Trench and Stigman face off against a host of bad guys from corrupt Navy SEALs to ruthless drug lords, and, as such, Blake Masters’ screenplay is full of twists and turns, some of which are easy to see coming. Sadly, it all gets too convoluted in the final stages of the film as new developments become more frequent and implausible. Aside from Wahlberg and Washington, the other standout performance comes from Bill Paxton. His character is essentially one note, but it’s an eye-catching turn from the veteran actor. Final Words: While 2 Guns isn’t a fresh take on the crime thriller genre, it does make for a worthwhile couple hours as the summer season draws to a close. If nothing else it gives us another great double act; and we hope to see Washington and Wahlberg share the screen again sooner rather than later. One comment for "2 Guns review"